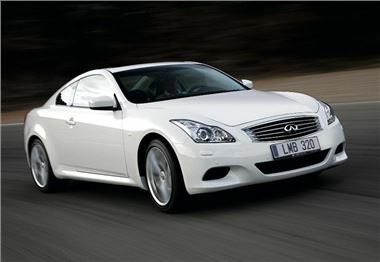 Motorpoint have one Infiniti G37 Coupe for sale at £24,999 – £15,000 less than it was new. The car Motorpoint has is stock comes with leather, metallic white paint, 19-inch wheels and a 3.7-litre V6 engine. Infiniti, relative newcomers to the UK, make luxury cars to compete with the likes of BMW, Audi and Mercedes-Benz, and they have a successful history elsewhere in the world, particularly in the USA. If you’re interested in this two-door executive model, or indeed any other cars, visit Motorpoint.